Born: 7 March 1898, Colesberg, South Africa. Died: 25 July 1988, Pretoria, South Africa. D.G. Steyn obtained a BSc degree at the University of Stellenbosch in 1922, a Dip Vet Sc in 1924 (University of Utrecht), a Dr Med Vet in 1925 (University of Vienna) and a DVSc in 1933 (University of Pretoria). From November 1925 to February 1946 he was research officer at the Onderstepoort Veterinary Research Institute, and from 1934 lecturer and head of the Department of Pharmacology and Toxicology in the Faculty of Veterinary Science (University of Pretoria) at Onderstepoort. From February 1946 to June 1963 he was professor of pharmacology in the Medical Faculty, University of Pretoria. For the next two years he worked as principle research officer in the Division of Life Sciences, South African Atomic Energy Board. From July 1965 to December 1968 he was professional advisor to the minister of health; from January 1969 to 1975 pharmacological advisor to the pharmaceutical company Noristan Laboratories; and from 1976 to 1978 worked at the National Botanical Institute, Pretoria, computerising information on toxic plants. He collected plants in South Africa and Namibia and his specimens are in the herbarium of the National Botanical Institute in Pretoria. Steyn was the pioneer research worker on veterinary plant poisonings and mycotoxicoses in southern Africa and published extensively in both the scientific and lay press, especially on plant poisonings. His work resulted in the recognition and consequent avoidance of the many uniquely southern African, and often massively fatal, plant intoxications. He was author or co-author of more than 200 publications, amongst which his standard handbook The toxicology of plants in South Africa (Johannesburg, 1934) was particularly important. Another book on toxicology, Vergiftiging van mens en dier followed in 1949. 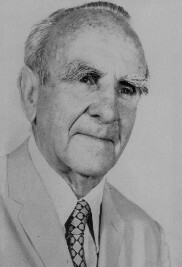 His contributions were widely recognized, inter alia by the following awards: The Senior Captain Scott Medal of the South African Biological Society (1941; he was its president in 1936), the Havenga Prize for Medicine of the Suid-Afrikaanse Akademie vir Wetenskap en Kuns (1954), the Gold Medal of the South African Veterinary Association (1977), and honorary doctorates from the Universities of Pretoria (1970) and Vienna (1980). He served on many committees and commissions of enquiry. In 1966 the South African Chemical Institute held a symposium in his honour. Graf, H. Havengaprys in die natuurwetenskappe en tegniek, afdeling geneeskunde, 1954, toegeken aan Prof. Dr. Douw Gerbrand Steyn. Tydskrif vir Wetenskap en Kuns, 1954, Vol. 14(2), pp. 13-14. Register of Veterinarians of the Union of South Africa. Journal of the South African Veterinary Medical Association, 1929, Vol. 1(3), pp. 77-83. University of Pretoria graduation documentation, 10 October 1970.
Who's Who in South Africa, 1979.